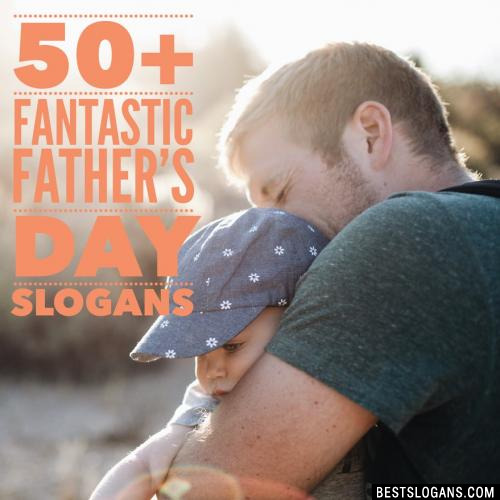 Great list of catchy fathers day slogan ideas & taglines for dad or that important male role model in your life. In 1972, President Richard Nixon established a permanent national observance of Father's Day to be held on the third Sunday of June. Father's Day is the fourth-biggest day for sending greeting cards, after Christmas, Valentine's Day and Mother's Day, according to the Greeting Card Association. 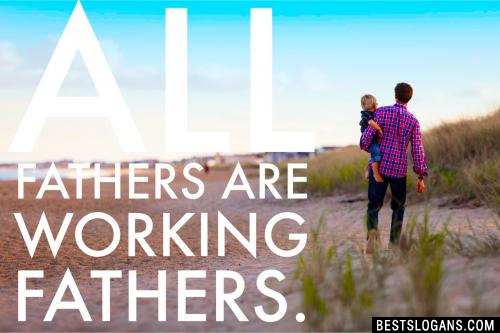 Father's Day is the busiest day of the year for collect phone calls. 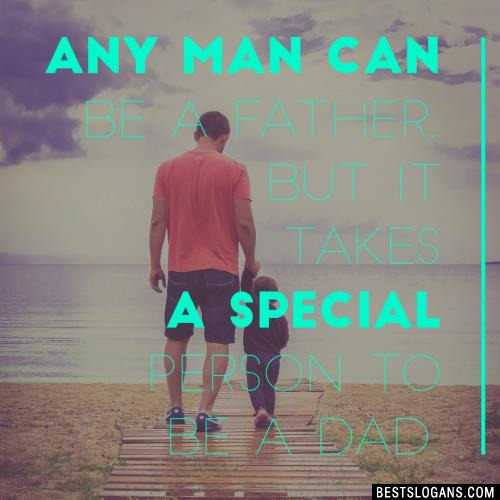 Father's Day festival is considered extremely important as it help acknowledge the contribution of fathers to individual families and to societies as large. Besides observance of Father's Day provide children an opportunity to express love and respect for their fathers. The sentiment goes a long way in strengthening father-child relationship and consequently in the emotional development of a child. 4 The greatest gift I ever had, Came from GOD; I call him Dad!! 5 Behind every great daughter is a truly amazing dad. 6 My dad is rad! 7 Dad. The one who mortgages his own dreams to fulfill yours. 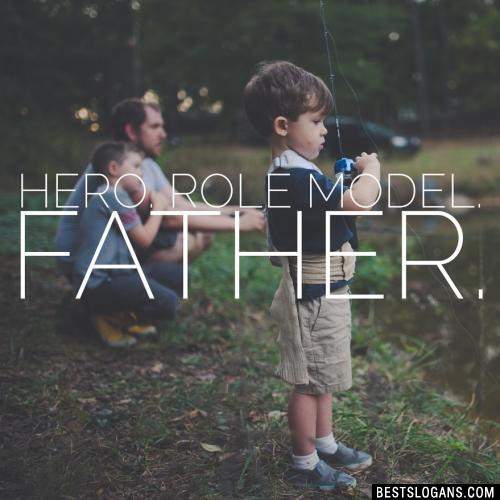 9 The only man you can depend on is your father. 10 A dad is your biggest fan, even when you strike out. 11 There is no place higher than on Daddy's shoulders. 13 I'm as lucky as can be, for the world's best dad belongs to me. 14 Some people don't believe in Heroes. They've never met my DAD. 17 DAD A son's first HERO and daughter's first LOVE. 18 Father: A guardian angel sent from heaven. 19 Noble fathers have noble children. Can you think of a good Fathers Day Slogans we're missing? Or come up with a clever one of your own. Please share below.